Thank you for making a difference. Since the opening of our library in July of 2010, we have continued to work hard to make positive changes to improve education at Dekpor Basic School and better the living conditions for the people of Dekpor. We couldn’t do it without you! We are a small group of highly dedicated volunteers, but we can only do our work because of the ongoing support we receive from generous people like you. We value your trust. We are grateful for your support. We are committed to making every dollar count. Thank you for visiting our website, liking our Facebook page, and telling others about the work we do. Together, we are creating hopeful futures. Linda and Abraham were thrilled to welcome teachers, Eva Strotzka and Philipp Schaffer, along with student, Tobias Rauch, to Dekpor. They had a quick visit to Ghana that included sight-seeing, village tours, and time spent at Dekpor Basic School. Donations of clothing, shoes, sunglasses, school supplies, learning materials, and ICT equipment were gratefully accepted. While Eva was busy training students how to use several new materials for the classrooms, Philipp was busy setting up both headmasters and the computer lab with a total of 9 Raspberry Pi 3s, (each with mouse, keyboard, monitor, cables) and other ICT equipment. Jonas, a student from the school in Austria, sent a prosthetic arm for John, a man who lives in Dzodze! Incredible! We thank BG/BRG Klosterneuberg for their generosity, and to both Eva and Philipp for their personal donations. 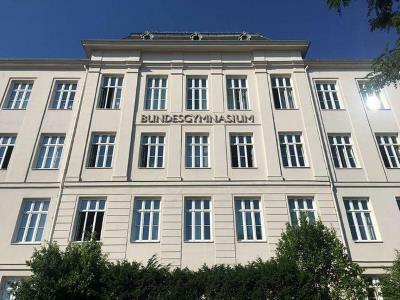 BG/BRG Klosterneuburg Gymnasium in Austria first heard about us through our friend, Edi Schmickl, and they started fundraising at the beginning of the 2017 - 18 school year to help our food programme. 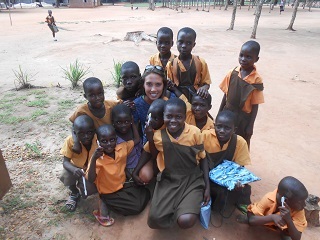 Keen to learn as much as they could about Ghana, they immersed themselves in every way possible. Eva and Matt, two very dedicated educators, spearheaded all of the activity at Klosterneuburg Gymnasium and started a group called The Future Makers. Their intent is to continue to assist our projects in Dekpor. In June, Abraham and Linda spent almost the full month in Austria, with much of their time doing workshops and learning sessions with the Klosterneuburg students. Linda and Abraham were impressed right from the get go as they were greeted with the Ghanaian national anthem, and then throughout the rest of their stay by the genuine interest in learning even more about traditional culture and crafts. Take a look at the album to see some of the cool things they did together! Through a variety of methods, the students managed to raise 4000 Euros over the past school year! A portion was directed to our bike repair kitty, and the majority is to help maintain our food programme. The Austrian students also collected cell phones, prescription glasses, and sunglasses for our Dekpor students. We are so grateful for your support! A huge thank you to the staff, students, and parents of BG/BRG Klosterneuburg! They've done it again! Just take a look at all that was collected! Yippee! There were also donations totalling $205. In addition, Setter, a local company, decided to hold a Santa's Workshop in conjunction with Children's Forest and Ridley Orchard and we were presented with a cheque for $680 at the event. We're very grateful to every single person who has made all of this happen! 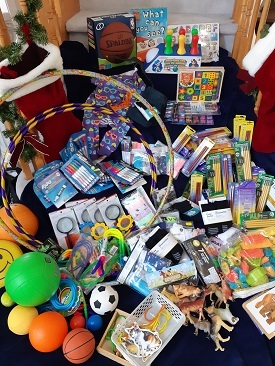 Children's Forest and Ridley Orchard School decided to make DSDO part of their holiday giving tradition. We provided a list of items specifically chosen to complement the needs of our four kindergarten classrooms that will open in the new year. What an incredible outpouring of support! We are blown away by the sheer number of items purchased! And not shown: $100 in gift cards, and $100 in cash to help cover the shipping. Wow! This is a story of loss and love. This shows the ripple effect of one act of kindness, and how others can be inspired. By all accounts, she was an example of strength and dignity. She was gracious, kind, and had a special love for helping children. She was the first person to jump on board when her friend, Rita Forte, had taken on producing Ghana Gift Bags in the fall of 2016. 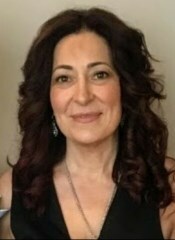 Anna Perrina-DiPede, a loving mom of four, a caring wife, and loyal friend, lost her fight with cancer in July 2017. In October 2017, Rita sponsored Carol in the Toronto Waterfront Marathon as a tribute to Anna. She pledged $660 to honour each of Anna's children--choosing that amount because it would cover the costs to feed four children in Dekpor for an entire year. Rita used social media to put out the message to her circle of friends. Josie Moniz read it. She, too, donated. Josie Moniz and Anna, friends for 36 years, ran a business called Avenue Home Decor together. Josie decided that she wanted to do make an even bigger impact in the memory of Anna. Two evenings in November, Josie hosted home parties selling women's accessories and gift baskets. The proceeds totaled $2650! Incredible! Josie chose to allocate the money to our food programme. Clearly Anna made an impact on those she met, as so many chose to attend Josie's home parties to support the cause in Anna's name. Thank you to each and every one of you who made this possible. Thanks to Rita Forte for initially sharing our DSDO name with her circle of people. Thank you to Josie Moniz for hosting home parties and donating all of the proceeds to DSDO. Anna, you're still making a difference. We are absolutely delighted that the ETFO Humanity Fund Board of Directors voted to support our application for $10,575! What an amazing gift! Every year, three times a year, each student enrolled at Dekpor Basic School has to pay exam fees--to buy the paper and pay for the photocopying of their own exams. Only the exact number of exams paid for are printed. If there is nonpayment, a student is 'sacked' three weeks before the exam period and not allowed to return until after. What's that mean? In the span of a school year, students miss three whole months of school because the family is unable to pay for the exam fees. It's heartbreaking. For 2018, the ETFO Humanity Fund has ensured that we can pay for the exam fees, for three terms, for every student enrolled at Dekpor Basic! The ripple effect of this donation is huge and we are incredibly grateful! The Junior School Council, Sara Fasano, and Lucy Berrill came up with a clever initiative called Kids Feeding Kids and they managed to raise an incredible $1938 AUD to be used for our food programme! What a thrill to have our first Australian supporters jump on board! What a wonderful fundraising effort for a school to raise that much money in a week! This is particularly meaningful and heartwarming since Sara Fasano was a former grade 2 student in Carol's class during her second year teaching. Sara, herself, is now a grade 2 teacher. Talk about a great feeling when your student is still making you proud, 20+ years later! 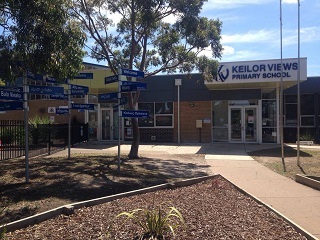 Keilor Views Primary School, you should be very chuffed! We are extremely grateful for your compassion and effort. Well, they've done it for the second time! Keilor Views Primary School held their 2018 rendition of Kids Feeding Kids and this time they raised an awesome $2294 AUD ($2077 CAD)!!! What a wonderful gift it is for a Dekpor student to know that they will receive a nutritious breakfast and lunch every school day! Not only do they get meals, but when a child is put on our food programme, they also will have any emergency medical treatment covered, and we pay their 'summer' school fees! Former Semester at Sea student, Erica Lieppman, was very touched by her experience in Dekpor. In 2014 for her birthday, she ran a successful Indiegogo campaign to raise money for DSDO and collected $2411! The funds were allocated to health care, student and teacher supplies, the food programme and the library. Thank you Erica, for sharing your birthday with the children of Dekpor! We are sporting smiles due to the $1000 that Ledgir House just allocated to our Dental Fund. We have an opportunity to bring dentists to Dekpor for the first time ever! Album coming in May when the dentists come! $1500 given to us and we were able to designate as needed! First thing we purchased was a replacement pump for use on school campus. DSDO has built 5 water reservoirs at Dekpor Basic School, and trying to pull up the needed water every day by hand is far too time-consuming. Next in line was a very special luncheon for all of the students and staff. And then the balance of this wonderful donation was allocated to help us ship goods from Ontario to Ghana. Ledgir House, we thank you for your continued support and generosity! Thanks to the $1500 donation received this year, we were able to do all the electrical repairs required in the library and computer lab! We also replaced several lights, fans, and purchased two new stabilizers. We are so grateful that we were able to look after these problems right away! Another thank you to Ledgir House for their donation of $1500! It was allocated to putting in the security system at the library and computer lab on Dekpor Basic School campus. We're very grateful! They did it again! This time the generous $3000 was allocated to the library extension. Thanks for helping us build this great space, Ledgir House! Ledgir House of British Columbia made a wonderful donation of $3000 that was put towards our borehole project. Clean water for Dekpor--what a gift! We are so thankful for their support of our work! 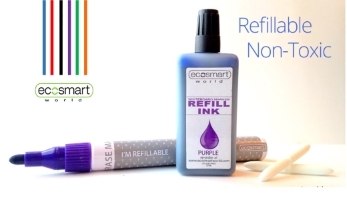 We are thrilled that EcoSmart Products Ltd. donated 408 dry erase markers and refill ink for us to send to Dekpor! It is a big deal for us to receive this very generous donation. Each classroom has a 'chalkboard' (black paint that is adhered to hand made bricks--yes they are bumpy) and one white board. We are challenged in that all dry erase markers we've purchased have dried up quickly. It is costly to replace them, and so teachers have to go back to using the poor quality chalk on the less-than-adequate 'chalkboards'. 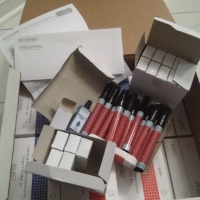 We are very excited to have such excellent quality markers AND refill ink to keep our teachers going! Highview Public School rocks! 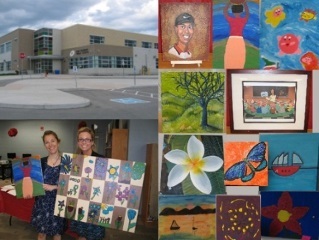 From purchasing beads to make bracelets to the large donation from the 2011 grads to build our first water reservoir, individual donations from students and teachers and the gift of books for the Dekpor library, this school in Aurora, Ontario has shown compassion in a big way. Thanks to the Greater Good Club, Mrs. Yarmus, and Mrs. Scott for encouraging everyone to bring in shoes. Seven huge bags of running shoes and soccer cleats were collected! Jean Anderson leads another Dance for Dekpor with Highview staff and friends, and Carla Walker made her debut as an aerobic dance instructor. These awesome ladies raised $473 one night after school! Mrs. Applebaum and her Grade 5 class decided to donate the proceeds ($273.95) from their highly successful Halloween Haunted House to help cover the shipping of the Ghana Gift Bags that the Greater Good Club, lead by Mrs. Nelson, decided to take on! Highview rallied together as they always do, and filled 60 drawstring bags for the students of Dekpor! The surplus items are being sent for future use, too. Amazing! In April, Ms Jean Anderson lead a lively 'Dancing for Dekpor' and between those who attended and the generosity of donations from others who couldn't even come, a whopping $335 was raised! Then The Gee Gees, under the direction of Mrs. Kim Nelson, sold popcorn and water at the May 'Arts Night' to raise funds to cover shipping costs and collected $233. In June, Highview collected 15 backpacks, 37 pairs of shoes and cleats, and a whole lot of summer clothes to be sent to Dekpor! Thanks to the Eco Team for spearheading the shoe drive! An astounding 121 pairs of shoes were collected! Some still even had tags on them! Thank you to Ms Marchand and the grade 6 social studies students for selling bracelets. The profits from the $1400 worth of jewellery sold will be put toward our food programme! Jean Anderson lead the Highview staff to do some fundraising by putting on a couple of dance sessions. Proceeds were split between two charities and DSDO was happy to receive $150! Highview just keeps on giving. Thanks for donating the proceeds from the holiday dance to DSDO! $260.05 raised by the students! The grade 8 graduates make a huge donation that allows us to build our first water reservoir. 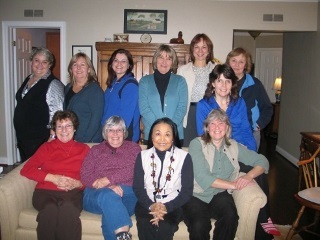 Back Row: Liz Clarke; Darlene Ramsey-Wu; Madeleine Harvey-Raymond; Ruth White; Candy Bermingham; Carol Sheardown; Kathe Gruber-Brown. Front Row: Ines Howe; Kathy Petroff; Naomi Skerrett; Sandee Sharpe. Absent: Karin Lenhardt; Carol Takagi. A group of Toronto-based teachers, affectionately known as The Shrimp Club, donated a large sum of money to make the library a reality. A few of these women are also sponsoring Dekpor students, a few have done some additional fundraising, and several have donated supplies and books for the library. They've done it again! This time, APA students collected 59 backpacks, 100 pairs of running shoes, and 16 pairs of cleats! What fantastic spirit! All of the items were prepped and then dropped off to the shipper on October 3rd. See the Shoe album in 2018 for more photos! Thanks to everyone for the enthusiastic response to Carol's visit and slideshow presentation! APA's shoe drive was a resounding success--3 HUGE bags of new and gently used running shoes and soccer cleats on their way to Ghana on November 4th! Carol was invited to speak at an assembly for the staff, students, and parents. Aurora Preparatory Academy jumped right on board to help us make a difference! Throughout the school year, APA hosted two bake sales, held a 'Date Night for Dekpor' (where the staff babysat students and siblings while parents had a night out), and also enjoyed a French Café. The school then supplemented the undraising total. An incredible $3000 was donated and these funds are being used to build our next rain harvesting system. 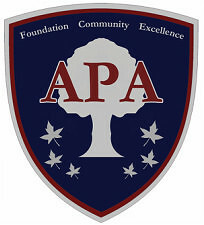 APA also donated clothing (including shorts, pants, kilts, sportswear and blazers) that was no longer of use at the school, but in excellent condition. A very special thanks to Jessica Buckley who was the original person to 'find us' and a big thank you to everyone else for such incredible support!!! From the club organizers to the team managers, coaches, parents and players-- a genuine thank you for donating your new and used equipment and uniforms. AYSC has been giving to DSDO since 2010! We started using the uniforms to outfit our school teams, and now that we've fulfilled that requirement, the donations are often given to children who don't have any clothes to wear, to children and adults who help us with odd jobs, and also at school as incentive prizes. Hundreds of pounds of goods have been sent to Dekpor. We are so grateful for the jerseys, shorts, socks, cleats, t-shirts, back packs, trophies, hats, soccer balls and other items that have been donated. These are treasured beyond measure by the people of Dekpor. Just take a look at our photos...you're bound to see someone wearing a jersey from the Aurora Youth Soccer Club! EDU Reference Publishers Direct, located at 109 Woodbine Downs Blvd., Toronto, Ontario, generously donated new books in May 2010 for use in our Dekpor Community Library. 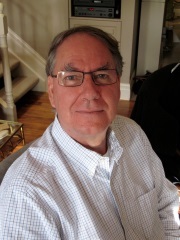 Gerry FitzGerald generously donated funds to help us with our business start-up expenses in Canada. Thank you! Using the $5133 donation from Joyce this year was one that brings much anticipation and hope. We chose to invest in the math strand of the curriculum by purchasing thousands of dollars of learning materials. The sourcing was done in Ontario, and all of the amazing items were sent in the summer. Three outreach volunteers took some things in their suitcases, and the rest was shipped! The balance of the funds is being used for professional development in the form of workshops for the Dekpor Basic teachers. Joyce, we are so grateful for your continued support! Joyce made another huge donation! We are so grateful, because it was so generous, that we knew we could tackle our library extension and use other donations to help finish the job. See 2015's Library Extension album. DSDO would not have been able to reach such great achievements so quickly, had it not been for the generosity of Joyce and her late husband, John. We are forever grateful for their compassion and support! Joyce and John made another donation that has made an enormous impact. For this coming school year, they have paid for the wages of one of our DSDO teacher-librarians, allowed for SIX NEW primary teachers to be hired and put 20 NEW CHILDREN onto the food programme! 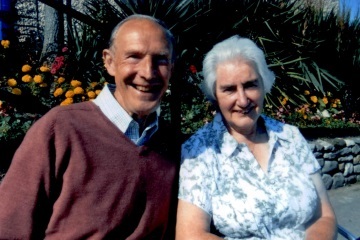 An extremely generous donation made by John and Joyce Wilson of England, in loving memory of Larry and May Simpson, was used to repair the Junior High School (JHS) classrooms that were on the verge of collapse (2011). See Junior High School album. A member of the 'Shrimp Club' who has given in a big way. Thank you! 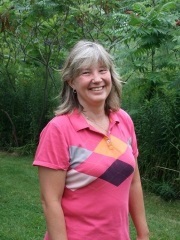 Karen Burke, of Whitby, Ontario, hosted several highly successful social evenings to raise funds for Dekpor. Thank you, Karen! 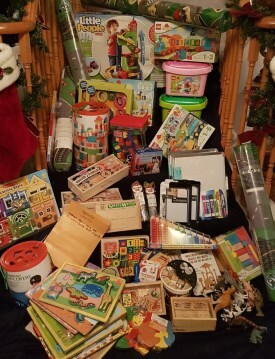 Karen continues to support our work throughout the year by sending a little extra for her sponsored child, and making tribute gifts and allocating them in special ways. This summer she donated loads of teaching materials and goods for us to use in Dekpor. And, she has done it again--for the fourth time, Karen has sponsored a whole-school luncheon! Not only did Karen start sponsoring a student last year, but this fall she took on a Ghana Gift Bag manager role. She and her friends and family made 35 beautifully filled gift bags for our students and they also fundraised to cover the costs of hand crank flashlights and shipping of extra items we had donated. We are very grateful to Karen for letting her circle know about the great work DSDO has been accomplishing since our inception! For the third time, Karen has made a lunch for the entire school, all 800 students and staff, a reality! The local specialty, kenke, is served, and everyone greatly appreciates the opportunity to celebrate together. On December 16th another grand lunch celebration was held with the meal portion funded by Karen. In honour of Karen, a special tribute lunch was held at Dekpor Basic on her birthday, July 16, 2014. Karen continues to support our efforts, especially by choosing DSDO as the recipient of tribute gifts. 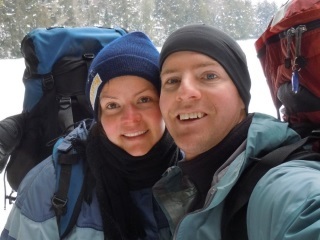 In lieu of wedding favours for their guests, Scott and Steph made a donation to DSDO! A big thank you and congratulations to the newlyweds! They've done it again! This time, the Hawks ran a very successful shoe drive. There were 8 big bags of gently used running shoes and soccer cleats that were collected. What a gift for kids in Dekpor who have nothing at all! See the Shoe album in 2018! Due to the incredible fundraising that took place in the fall, Moraine Hills raised enough surplus money to sponsor a very special luncheon at Dekpor Basic School. The children and staff were extremely grateful for the opportunity to enjoy a special meal together. 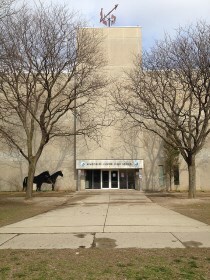 Moraine Hills Public School, in Richmond Hill, really blew the top off the goal! With a special thank you to Deborah Snow for introducing DSDO to the amazing Equity Team of Moraine Hills P.S., we also want to recognize the staff, students, and parents. They loaded 40 fantastic Ghana Gift Bags to the brim and had some extra goods for us to send for our Dekpor teachers, also! Not only did they fundraise to pay for the shipping of the GGBs and the extra boxes, but they also paid to sponsor a whole-school luncheon at Dekpor Basic School! Thanks to Mark Gavin of ecojot for the generous donation of 530 workbooks! 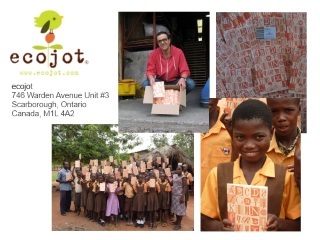 ecojot is committed to giving back one journal at a time. The "GIVE" program started in 2010 and uses a simple premise: with the sale of a jumbo journal, ecojot will donate a school workbook to a child in need. Sonya McFarlane, a Toronto District School Board teacher, collected, purchased and brought several hundred children's books for the Dekpor Library. Her school class also purchased and sent books, and included personal dedications in them for the children of the village. 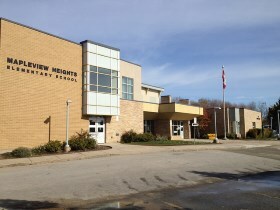 Mapleview Heights P.S. helped again--this time by selling an astounding $2314,25 worth of Ghanaian jewellery! We are extremely grateful to the entire Mapleview Heights community! Mapleview Heights Public School in Barrie jumped on board to help with our Ghana Gift Bag project, thanks to teacher and head of the Global Leadership Team, Mrs. Linda Motta! 31 beautifully packed gift bags were filled to the brim and fundraising was done to pay for the shipping. Mrs. Motta was also responsible for having a large number of drawstring bags donated. A special shout out to the members of the team: Alexis, Caitlyn, Ellie, Jenny, Jessie, Keliah, Kymani, Lizzie, Madison, Michael, Samantha, Shondra, and Tanes. Thanks to the students, parents, and staff for their wonderful support! This year Edi and Conny brought their friends Ulrike and Andreas for a visit! They presented us with a cheque for 2000 euros-- money that was collected from friends and acquaintances, and also brought some goods for the students. Our school soccer team received jerseys and shorts, while the junior kindergarten class (approximately 90 students) received either a pair of shoes, an article of clothing, or a toy. They also brought an assortment of items for the school. Dekpor residents were happy to welcome Conny and Edi for another visit! 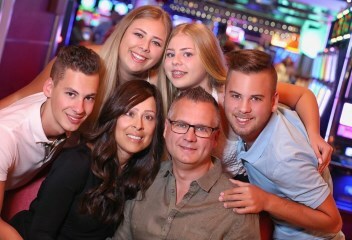 This time they raised 2400 euros (thanks to Brigitte, family, friends, and Racketlon Federation Austria). With those funds, Brigitte's 1000 euros will be going toward our next water reservoir; and with the balance, a projector and stabilizer were purchased, a library bookshelf was built, 3 tables and 4 benches for the computer lab were made, and 20 benches for the library extension were constructed by Weta Secondary School students. In April, Conny and Edi were at an exhibition and spread the word about DSDO and raised 160 euros while they were at it! Both Edi and Conny have visited Dekpor 5 times and have brought sports equipment, school supplies, shoes, clothing, medical supplies and an assortment of other items. Together with Racketlon and donations from friends, they have made our teachers very happy! The 6 desks that were at the school have been properly repaired, 18 new desks have been purchased, and 31 chairs have been made. Up until now, most staff did not have anywhere to sit! Edi and Conny returned to Dekpor with another generous donation from family, friends and Racketlon Federation Austria. This time, the construction of 40 one-piece desks, improving the soccer field, and contributing to the future volleyball court were funded. 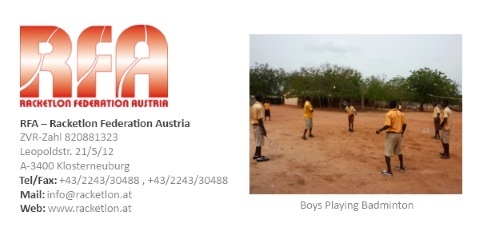 They approached Racketlon Federation Austria and raised enough money for DSDO to make necessary repairs to the existing primary block, put a couple more children on the breakfast program and started a water hygiene project providing Class 4 with personal drinking cups. 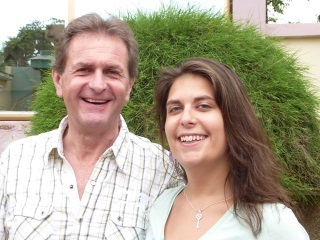 Edi and Conny Schmickl of Klosterneuburg, Austria have helped us tremendously! They collected donations from themselves, family, and friends to pay for our librarians' salaries for the 2011-2012 school year. They've done it again! The donation this year has repaired 6 teachers' desks, purchased 18 new desks, and allowed us to make 31 chairs. What a wonderful morale boost for our teachers! Desks and Chairs for Teachers. Along with Conny and Edi Schmickl, Racketlon Federation made another donation that has funded the construction of 40 one-piece desks, improving the soccer field, and contributing to the future volleyball court. Racketlon Federation Austria took a collection from the players and spectators at the International World Cup and donated enough for us to make necessary masonry repairs to the primary block. While the mason was at the school, repairs were also made to the walls of the library where the wiring was put in. A couple more children were added to our breakfast programme and a water hygiene project supplying children with their own drinking cup was started. They also sent some sports equipment for the students to use! The Rotary Club of Aurora is one wonderfully generous group! On April 27, 2015, Carol was invited to be the guest speaker. On June 16th Carol was invited back to give a little update, and this time there was a rather HUGE surprise! This amazing $4000 gift is being put towards the 60 ft extension to our library. We have fantastic plans in store! We are so thankful for the generosity and support of the Rotary Club of Aurora! 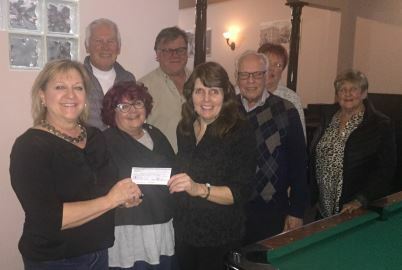 On April 23rd, Carol was invited back to share DSDO's more recent accomplishments, and the Club surprised her with an on-the-spot donation of $5000! We've used this to put in 10 street lights at three of our town toilet facilities. Being able to see one's way to the toilets when it is dark 12 hours of the day prevents accidents with uneven pathways, snakes, and scorpions. Health, safety, and dignity. What a difference this makes! Group photo of some of the Rotary of Scarborough members --a great group! The club donated $500 to go toward shipping and also collected a variety of school supplies, 30 pairs of gently used shoes and 60 pairs of brand new shoes! Add to that, a couple of members have privately donated, too! What an amazing group! We are so very thankful for all that you've done to help! Carol's PowerPoint presentation showed members Dekpor and the work that we do. It was a great opportunity to let everyone know how much of an impact was made by their donation of 30 boxes of KAHC food and our deep appreciation of the time, effort, and financial support given by their club. Each box contains 36 bags of food; each bags holds the daily nutritional needs for 6 children! The families receiving the rice casseroles were beyond happy! 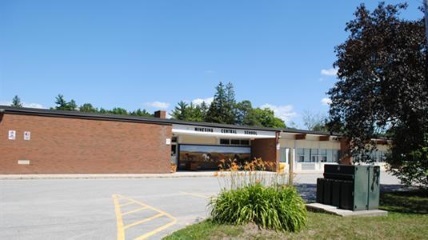 Sam Chapman Public School is a new French immersion York Region school in Markham and it is filled with wonderful, enthusiastic people who have given a lot of time and effort to help Dekpor School Development Organisation. Let's start at the beginning. Rebecca Howes was one of the charter teachers as Sam Chapman opened its doors for business. 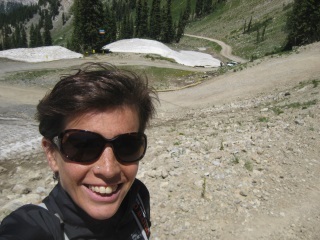 Rebecca just also happens to be one of eight adventurous GTA teachers who volunteered in the summer of 2010 in Dekpor! Yep, that was before there was electricity! 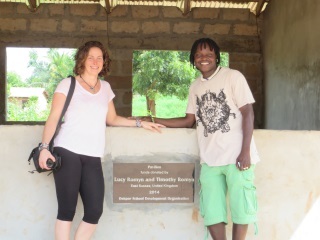 Rebecca modelled best practices, assisted in her host classroom, and helped set up DSDO's community library! 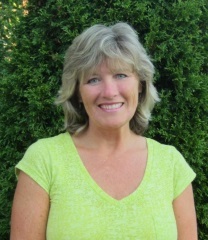 Deeply touched by her adventures in Dekpor, Rebecca returned to Ontario determined to help. She brought DSDO to her principal, Greg Farrell, and he also loved what we do. 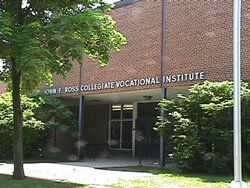 So what exactly has this great school done? M Farrell bid au revoir to the school, and on his behalf, $543.45 was put toward the food programme. We wish Greg the very best...he has supported our efforts since 2010! 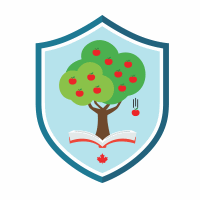 We are very thankful for the absolutely outstanding efforts made by the students, staff, and parents of Sam Chapman Public School in Markham. Truly they have shown the people of Dekpor that they really care! We are blown away by their generosity and are grateful for all they've done for us! The enthusiasm was passed to young entrepreneurs who wanted to take on a leadership role! In the fall of 2013, two amazing groups of students did some kid-powered fundraising to help our food programme. Young leaders in grade 5 ran a soccer club and raised $767.60! And, a group of grade 6 girls sold trendy elastic bracelets and made $286.50! Also, three teachers, Mme Howes (notice how Rebecca is a constant? ), Mme Robinson and Mme Argento, took part in the Scotiabank Toronto Waterfront Marathon, Half and 5k in October. They all did the 5 k and Mme Howes even had baby Aubre with her!!! Between Rebecca, Erin and Silvana, they raised over $2800!!! The staff and students of Sam Chapman sold $1414 worth of Ghanaian-made jewellery!!! This went toward maintaining our food programme. A special thank you to Mme Howes, Mme Lam, and M Farrell. After listening to Carol's PowerPoint presentations, the staff and students decided to support DSDO. They purchased loads of bracelets (over $2100 worth) and also held a highly successful art auction called 'Ghanart' which raised over $2400! (A special thanks to Mme Howes, Mme Lilly, and M Farrell.) The money raised by the bracelet selling went to the food programme, and proceeds from Ghanart were used to build a much-needed water reservoir! 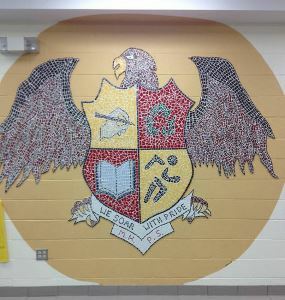 Under the direction of Mr. Adam Sanderson, the student council of St. Julia Billiart Catholic School in Markham, Ontario held a coin drive that they called "Dimes for Dekpor" and they managed to raise just over $1500! Thank you to all of the staff, students and parents who helped make it happen. Absolutely amazing work! Mr. Sanderson and the student council sold over $2500 worth of recycled glass bead bracelets as a fundraiser! The profits were allocated to our food programme. We are thrilled by their continued support! 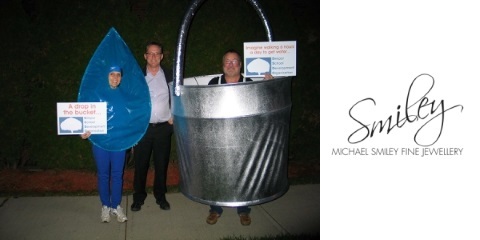 After hearing Carol speak at the Kempenfelt Rotary of Barrie meeting, the very talented Mike Smiley, of Michael Smiley Fine Jewellery, offered to design, create and donate the Drop in the Bucket costumes for Carol and Andrew to wear to the 2013 Scotiabank Toronto Waterfront Marathon. We wanted to get some attention… and that goal was certainly achieved! We are thrilled that Barriston donated 19 gently used laptops! What an amazing difference that will make in our computer lab! 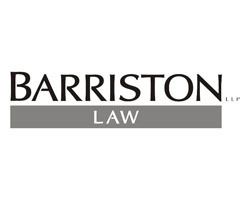 Barriston Law in Barrie, Ontario took up the Dekpor Cup Challenge and raised funds for two charities, Dekpor School Development Organisation being one of them. A special thanks to team captain, Jodi Armstrong! Team captain, Deanna Lancaster, lead BDO as they paddled again for DSDO. We are happy to share that $1809.10 was raised and will go toward our borehole project! BDO - Barrie decided to partake in the Dekpor Cup Challenge as they raised funds for the Barrie Dragon Boat Festival 2013. An impressive $2701.50 was raised to be put towards our water projects. A huge thank you to team captain, Deanna Lancaster! Busch Systems of Barrie, Ontario has chosen to support Dekpor School Development Organisation in a big way! We are thrilled about the $10,000 donated to cover water system equipment and supplies! This boost allows us to continue to sell water at a discounted price! Increased water sales have made an important health impact-- local nurses are verifying decreased incidents of abdominal ailments at the CHPS clinic! Again, Busch Systems makes a huge donation to the tune of $20,420 so that we can continue to help where help is most needed! Of that, $3500 is for the emergency medical fund, $4020 for brand new desks, and the balance has been used to purchase equipment, supplies, and reserve parts so that we can keep clean water flowing throughout Dekpor Yia, Dekpor Dome, and Dekpor Horme. In the summer, Busch Systems renewed its sponsorships of SIX students! The Busch It to the Limit team -- Marty, Joe, and Alicia – raised $2795 at the Scotiabank Toronto Waterfront Marathon! Funds raised at the STWM are used to maintain our food programme and also to pay the wages for our Dekpor educators. Six lucky students are being supported for another school year! $2000 donated so we could replace our spare pump. Thank goodness for having back-up parts and equipment! It allows us to keep the water flowing! A whopping $21,800 is going to make a huge difference as we replenish the emergency medical fund; purchase 6 desks, 6 chairs and 6 cabinets for our new rooms; build our last rain harvesting system; purchase reserve pumps and filters for our boreholes and reverse osmosis system; and continue work on the water distribution pipes. Thanks to Marty and Jenny Pepper for participating in the Scotiabank Toronto Waterfront Marathon--they raised $2500 to go toward our food programme! The Barrie Dragon Boat Festival was held on August 27, 2016 and for the fourth year running, the Busch Buccaneers have chosen to support us in their fundraising efforts! They are a force to be reckoned with on the water and came home with the Moore Packaging Corporate Challenge Cup. Thanks to Busch Systems International, Sal, Elaine, Joe, and Mike for raising $1175 to go towards water projects this year! Busch Systems is also sponsoring 6 children--what lucky students they are! When the fees for National Health Insurance cards skyrocketed to 5 times the original cost and we were in the awful situation of not being able to cover all of the students at Dekpor Basic, Craig stepped in to save the day with a donation of $5,000. We are thrilled that all of the 800 students will receive their health cards again this year! What a gift! We happen to know that one of the children sponsored by Busch Systems was saved from malaria because she had her health card and could receive the necessary treatment! Busch Systems is saving lives! We are SO grateful! Wow, does Craig Busch ever know how to give! $15,000 for us to use to: renew health cards for the Dekpor Basic students, support the three brothers who are on their own, extend distribution pipes from the water tower to the clinic, replenish our medical emergency fund and help with the Dekpor Horme Town Toilet #1 repairs and renovation! Yahoo! The Busch It to the Limit team raised $1,967 in the Scotiabank Toronto Waterfront Marathon. We allocate all proceeds from this event to our food programme and sponsoring our educators. Busch Systems has given funds to set up 10 children with hens and is now sponsoring three very lucky children so that they can attend school. Also in August their dragon boat team gave $2,875 to go towards our water initiatives (we purchased a spare pump and parts for our reverse osmosis unit). Busch Systems donated $1,200 to make sure that the three brothers can concentrate on school and have enough food, hygiene items and clothing. This is a sad situation where there is no adult family member to assist and we are very thankful that these boys will be properly taken care of. $2,000 to renew national health cards. This is a life-saving donation! We are truly blown away by the team spirit and giving nature of the people at Busch Systems! Thanks again to team captain Marty Pepper who lead the 12 Busch It to the Limit runners in the Scotiabank Toronto Waterfront Marathon. They raised a total of $3,264.10 which will go towards our food programme. Busch Systems collected 30 lbs of gently used shoes for us! 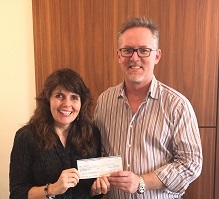 A special thanks to boat captain, Shannon Taylor, Busch Systems raised $3,905 in the Barrie Dragon Boat Festival. The funds will be going towards our borehole project! Busch Systems made a donation of $11,932, enabling us to: support 3 brothers, paint the inside and outside of the JHS and Administration buildings, build 18 cabinets for the teachers, get health insurance for the remainder of the students enrolled at Dekpor Basic, set up a medical kit and have a reserve to pay for any emergencies, get whiteboards for every classroom, start curriculum kits for tech, science, math, music and phys ed. Please see the photo albums in Our Projects to see what Busch Systems has done to help Dekpor--it's nothing short of amazing! Thanks to Marty Pepper, the Busch It to the Limit half marathon team raised $2,960 to support our food programme and sponsored teachers. We are thrilled to have the ongoing support of Busch Systems! Craig Busch talked two other Barrie companies into 'The Dekpor Cup Challenge' and the Busch Buccaneers dragon boat team managed to raise $5,624 to go toward our water initiatives! Carol did a series of slide show presentations at their office, so that everyone could learn more about us and the work we do. Since that time, fundraising activities have been happening to benefit DSDO. Thank you to Ms Duggan, a teacher volunteer who spent the summer of 2013 in Dekpor, and her Me to We students at John F. Ross Collegiate Vocational Institute (CVI) in Guelph for selling $911 worth of jewellery. The profits were put toward our life-saving food programme. The Standard Chartered Bank in Accra accepted a proposal submitted by Linda in Ghana and they just delivered 100 desks for our older students! With the enrollment nearing the 800 mark, this furniture is desperately needed! See Step-by-Step 2014. 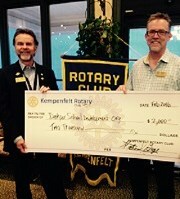 Kempenfelt Rotary Club of Barrie is an incredibly generous group! They have donated $1000 to support SIX students on our food programme for this school year. Six children will be receiving a nutritious breakfast and lunch every school day, get any required medical attention, and also have their vacation 'summer' school fees covered. Thank you, thank you, thank you! This amazing club has helped us again! A donation of $1650 will feed 10 of our students for a year, give them medical attention, and pay for their vacation 'summer' school fees! We are so grateful to the ongoing support of this wonderful Rotary Club! It is a great honour to gain the support of this Barrie group! Thank you! Yippee! Kempenfelt Rotary of Barrie decided to donate $1000 toward our water distribution pipe fund! We are running pipes from the water tower to the clinic...it's approximately a 2 kilometre stretch. Carol was asked to come back to share the many things that DSDO has accomplished in the past year and a half. 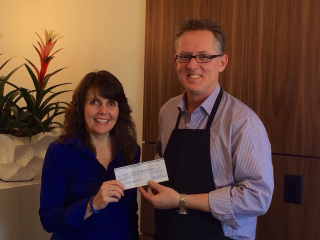 Once again, the Kempenfelt Club of Barrie was generous and made a donation of $1000. Carol was happy to be invited to attend the Kempenfelt Rotary Club of Barrie meeting as their guest speaker. In September they sent us a cheque for $1500 to enable 10 students to be put on our life-saving food programme! What a wonderful gift! Ellie Greenwood, world renowned ultra marathon runner, winner of the 2014 Comrades, and 2011 and 2012 North American Female Ultra Runner of the Year and 2-time winner of the World 100km Championships (2010 & 2014) is to be thanked for her big heart and ongoing support of Dekpor School Development Organisation. Not only does Ellie sponsor a child, but she also inspired her fans, friends and family to raise money for us in 2013. A whopping $3649 was raised. Lucy Romyn of East Sussex, England is making a difference! She financed the majority of our first pavilion room which was completed in June of 2014 and visited Dekpor in October 2014 to see it in use! Before Lucy made the trek, she was helped by Oliver Faragher and his parents, Richard and Lizzy, who held a successful shoe drive at Shoreham College with the assistance of Mrs. Stokes and Mr. Harrison. Lucy brought approximately 200 pairs of shoes and 3 laptops! It was wonderful that Lucy helped distribute the shoes--so many children were truly overwhelmed. Oh, the Mustangs really put their hearts and 'soles' into it this time by collecting running shoes, soccer cleats, and gently used backpacks. They outdid themselves this year! Carol's van was full to the roof, and the passenger seat was filled, also! Thanks again to Mme Naccarato and a special mention to Ms Pino who challenged her admin friends to join in on the fun. The Mustangs kicked up their heels for 'Shoes for Dekpor'! Nine very large bags of soccer cleats and running shoes were collected! The Mustangs have done it again! This time they collected goods for our Ghana Gift Bag project and loaded the van! A special thank you to Mme Naccarato and the Leadership Team for their enthusiasm and continued support. A special mention to Michelle Weller who, very generously, paid for the shipping of all the Minesing bags! 'Spring Cleaning for Dekpor' brought in 138 pairs of shoes, several backpacks, eye glasses, lots of summer clothes, 9 bicycles, a trumpet and a laptop! And the loonie collection resulted in $295.05 being raised to help with the shipping costs! Thanks to the parents, students, and staff of Minesing Central, with an extra special thank you to Mme Nacarrato and the Leadership Team! What a difference these goods will make! 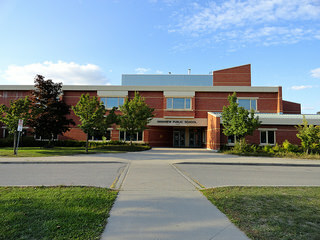 Minesing Central P.S. has jumped on board. In September 2014, thanks to Sophie Graszat, the Leadership Team, and Mme Naccarato, over 200 lbs of gently used running shoes were collected in just a few days! 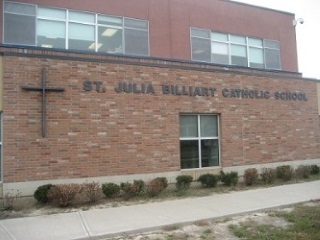 On October 22nd, Carol was invited to speak to the school, and the students decided to fundraise by selling bracelets. A total of $1,126.80 worth of bracelets were sold and the profits were put toward our life-saving food programme! 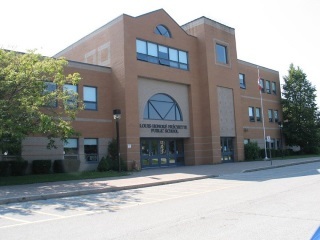 Minesing Central students, staff and parents, THANK YOU for your support during the 2014-2015 school year!!! 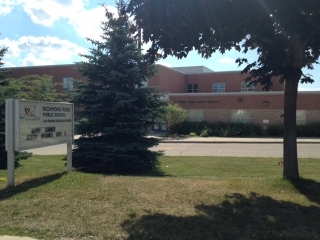 Richmond Rose Public School, a York Region school in Richmond Hill, has undertaken fundraising for DSDO in 2015 as their global initiative organized by their Positive Climate For Learning (PC4L) committee. This committee is comprised of staff, community members and, most important, students who have a voice in all planning and decision making. They raised an astounding $1130.33 by selling friendship bracelets at Valentine's Day! This money was put toward our life-saving food programme where very needy children receive a nutritious breakfast and lunch every school day. Richmond Rose, YOU ROCK!!!!! Thank you for your tremendous support! And a special thanks to Mrs. Darlene Ramsey-Wu for being the one to introduce Richmond Rose to DSDO! Richmond Rose Public School has done it again! This year they held a Dimes and Dollars for Dekpor challenge, raffled a camp excursion, and sold freezies! $3005.61 later, and we're thrilled to announce that their hard work is going to help us build our next rain harvesting system at the school! We are so grateful to everyone! We are very fortunate to have bicycles donated to us, but often they are in need of repairs, new parts, and basic tune-ups. This is where Spoke O'Motion of Newmarket stepped up to help us! They took 8 bicycles that were in need of TLC and made them ready to roll! A special shout out to Myles Cullen, Steve, and the rest of the crew! Unreal! 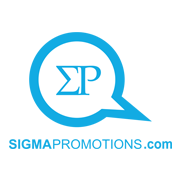 Sigma Promotions just keeps on givin'! An incredible amount of brand new goods were donated again this year… and it took two loads in the van with all the seats down. T-shirts, jackets, golf shirts, polos, baseball hats, hoodies, pens, notebooks, travel mugs, school bags, and an assortment of other fun items. 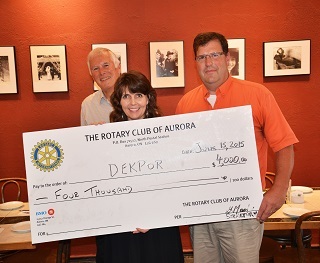 We KNOW that there will be a lot of smiles in Dekpor because of this most generous donation! Sigma Promotions of Aurora is one generous company! They donated TWO to-the-ceiling-full van loads of goods to us! There were onesies for babies, padfolios, notebooks, travel mugs, water bottles, baseball hats, pens, t-shirts, bags, and assorted other brand new goodies! Many items were put into Ghana Gift Bags, while others were sent separately for use at the school by teachers and students. We are extremely grateful for their amazing donations! Windfields Middle School is full of students who are determined to make a difference both locally and globally! We are grateful to principal, Ms Heather Lanning, for introducing her staff and students to Dekpor School Development Organisation. The dynamic Young Women on the Move group gave the proceeds of their cookie sales to us! They raised a sweet $700! Their hard work is going to help us in two ways: $300 will finish covering the funds required for the two sponsored high school students, and $400 is allocated to our Dental Fund. Stay tuned. There will be a 2019 Dental Health photo album soon! A pizza lunch was held and the loaded slice of proceeds, a whopping $904.83, was directed our way! Windfields has been co-sponsoring two high school students, and so this amount will be used to go toward the funds required for the 2019 - 2020 school year! Windfields Takes Action has done it again! This time they sold $1000.55 worth of Ghanaian-made bracelets to the staff and students! Carol was invited to come to do three talks -- one to each grade level. What a pleasure--great questions, undivided attention, and promises of further help! What a lovely surprise to be presented with a cheque for $920! Part of the donation will be used to cover the shipping of the shoes collect last month, and the balance is allocated to a variety of our health-related initiatives. Yet another wildly successful shoe drive was held by the Mustangs! This time there were 14 big garbage bags filled with shoes! A special thank you to the Windfields Takes Action group, Mrs. Harvey-Raymond, and Mrs. Woods for their leadership. The shoes are expected to arrive in Ghana in December. Be watching the Shoe album for photos! They heard our plea for help and jumped to it yet again! This time the Mustangs have raised $800 to go into our bicycle repair fund! We are so grateful that we can fix the bikes we have in Dekpor and keep them up and rollin'! Pizza sales, candy cane sales, and other assorted fundraising allowed Windfields to send us a cheque for $1800!!! A portion of this was used to help pay for shipping the shoes they collected in the fall, and the rest is going to help cover the expenses of the two high school students they will support again for the 2018-2019 school year! Talk about being proactive! The Windfields Middle School shoe drive was a success--6 huge shipping bags of running shoes and soccer cleats! They also collected tech items. Thanks for the 2 laptops, 2 Samsung minis, and 3 iPads! Carol was very happy to have the opportunity to present her slideshow for the Grade 8 students on November 1st. A huge thanks to the Mustangs for their continued support! Thanks to fundraising initiatives held throughout the year, Windfields gave us an additional $1754.37! This was used to help Esegbe and Wonder pay the expenses for their first year of high school! The Mustangs jumped on board to sell Ghanaian recycled glass bead bracelets and sold $656 worth!